Kansas | can i just finish my waffle? People continue to gather in opposition to the massive spending our government is engaging in now. In Green Bay, Wisconsin, Saturday (below), hundreds are expressing themselves and exercising their right to free speech. Olathe, KS, Harrisburg, PA,, and Fullerton, CA were locations of other “Tea Parties” Saturday. Go to Michelle Malkin.com for more pictures and details. If you are near Orlando, here’s a rally coming in your area. Well, his grandparents and his mother may have lived in Kansas for a time, but portraying Obama or his mother as ordinary middle Americans raised and taught to love the American way of life is quite a stretch. In an interview, Barack Obama referred to his mother as ‘the dominant figure in my formative years..… The values she taught me continue to be my touchstone when it comes to how I go about the world of politics.‘ So I thought I would try to find out a little something about his mother and the values she held and taught him. But by the time Stanley Ann reached high school age in 1956 , she and her family were long gone from Kansas, and after moving to and from several states, they had ended up in Washington State where she attended and graduated from Mercer Island High School near Seattle where board member John Stenhouse testified before the House Un-American Activities Subcommittee that he had been a member of the Communist Party. At some point after her graduation from high school, they all ended up in Hawaii. I haven’t been able to find out exactly why and when that occurred, but apparently not long after she graduated from high school. And while attending the University of Hawaii, she met Barack Obama, Sr. who left Ann and their son, Barack, in 1963 to attend Harvard in Boston. Press reports claim Ann Dunham and Barack Obama Sr. were divorced around this time; however, no evidence has yet been presented to show they were ever married. There’s just another question as to when and where they were married, much like the story going around now about the authenticity or lack thereof of Barack’s birth certificate. There seems to be much controversy as to why he doesn’t just produce a certified copy of the birth certificate and put those questions to rest. At one time early in Obama’s candidacy, I heard him tell the story of how his mother had cancer and died in 1995 worrying about her lack of insurance. At that time, I was picturing her somewhere in Kansas unable to get the treatments she needed due to some failure of the United States government to provide her with insurance and/or medical care when, in fact, she was in Hawaii, having lived most of her adult life in Indonesia with her second husband, Lolo Soetoro. I don’t know, that just shocked me that she wasn’t in Kansas. So after learning more about Barack’s background and getting a clearer understanding of his mother’s belief system, it at least helps explain his associations with Jeremiah Wright and others and why he didn’t find their world view to be that unusual. Just to be clear, I have absolutely no interest in who Barack Obama chooses to associate with or what church he wants to go to or what beliefs he holds — none. That is, until he announces he wants to be President of the United States. And it is a good thing there have been some who have looked beyond the surface to find out more about this man. But, unfortunately, the portrait most often put forward by the media is not complete. 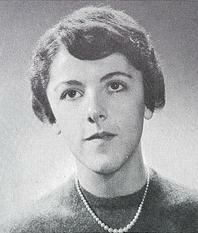 The link below takes you to a detailed article from the Chicago Tribune about Stanley Ann Dunham. It is well worth reading, if time permits.